I’ve noticed a trend in homeschooling. Most homeschoolers begin with a fairly planned out curriculum – a sort of boxed curriculum. This is their security blanket for those first few years of homeschooling. Over time, they often branch out to find resources that work for each child. Many homeschoolers venture out of their box and become more eclectic. They dabble in different homeschool styles and try new curriculum. Once they are confident in their homeschool journey, there’s no stopping them! This doesn’t really describe me at all. 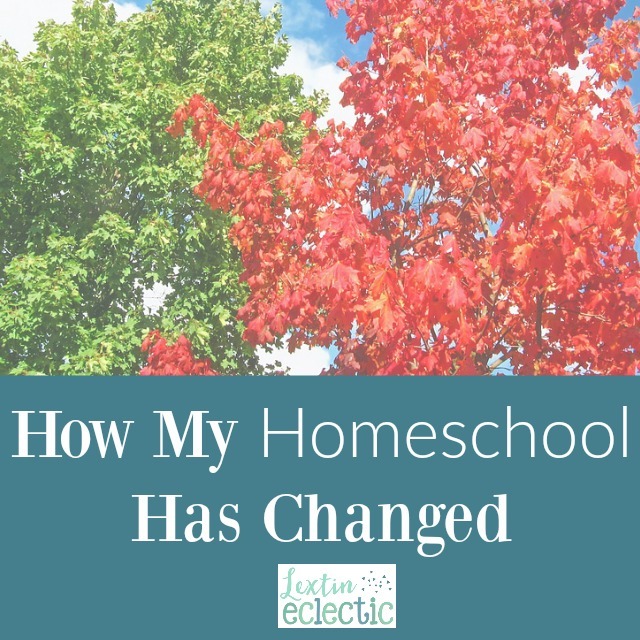 I started our homeschool journey full of confidence and bursting with creative ideas. Our little homeschool was so very eclectic! We read living books and forged our own path. As more students were added to our homeschool, I found it more and more difficult to keep up with all of my ambitious plans. Our homeschool day was taking longer every year. I was reaching a point of burnout and my kids were becoming weary with the structured projects and the planned activities. They just wanted free time to follow their own pursuits once our school day ended. I slowly began to simplify our homeschool. On my journey to pare down to the basics, I discovered things like textbooks, workbooks, DVD learning programs, and online learning. I started to experiment with parts of various boxed curricula. Basically, I was searching for anything that would help streamline our day and take some of the teaching burden off of me. I was seriously outnumbered in our homeschool. Teaching every subject on 5 different grade levels was making me lose what little sanity I had left. So, over the years I’ve gravitated toward less parent-intensive curriculum. I’ve tried out a few subjects from publishers that are considered boxed curriculum. We’ve added some online learning, DVD programs, and textbooks to our homeschool. Of course, we’re still very eclectic. But I’ve had to find a better balance of parent-intensive curriculum and independent learning in some subjects. I’ve found that it is so freeing! I have some time back. I don’t feel nearly as frazzled each day. My kids enjoy working at their own pace and being in charge of some of their own learning. They also have more free time since we’ve cut out some of the extras and focused more on the foundational basics. We’re happily eclectic with some Montessori learning, excellent literature, colorful textbooks, online learning, and clutter-free workbooks. I’ve discovered that the perfect curriculum is simply that one that gets done – and it’s a bonus if everyone kind of, maybe, enjoys it.